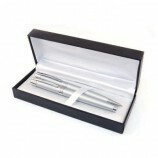 Kari ball pen and roller pen in a Card Gift Box with Pouch. 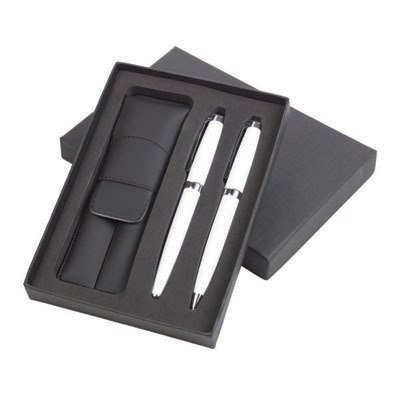 The box can be printed at an additional cost. 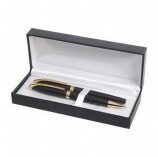 Ballad Gold matt black ball pen and roller pen in a Deluxe Gift Box. Engraves chrome. 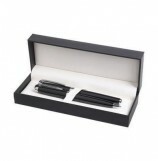 The box can be printed at an additional cost. 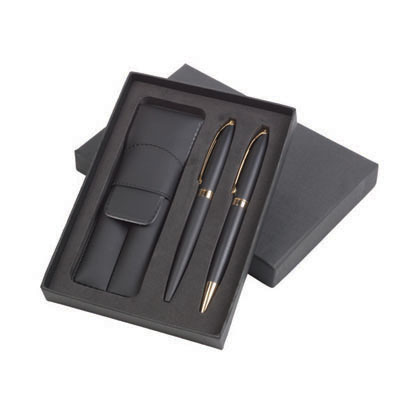 Valentino ball pen and roller pen in a Card Gift Box with Pouch. The box can be printed at an additional cost. 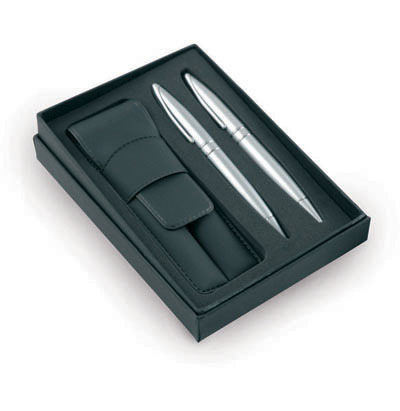 Ambassador ball pen and roller pen in a hinged, cushion lined HI-Line Gift Box. The box can be printed at an additional cost. 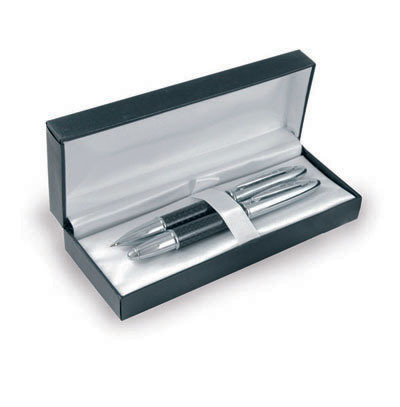 Valentino ball pen and roller pen in a hinged, cushion lined HI-Line Gift Box. 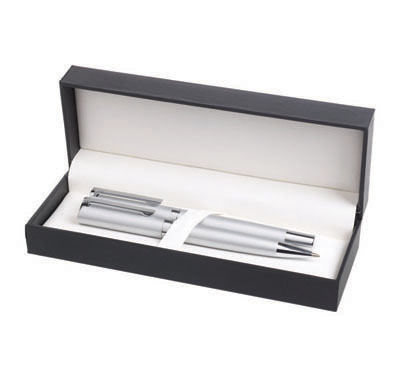 The box can be printed at an additional cost. 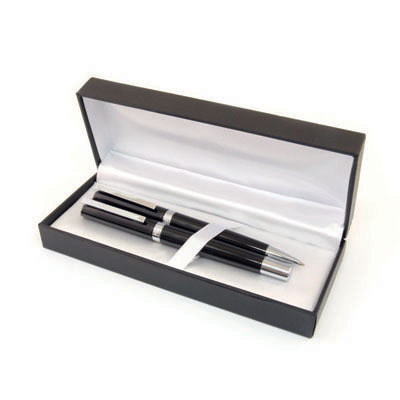 Ballad Chrome matt black ball pen and roller pen in a hinged, cushion lined HI-Line Gift Box. Engraves chrome.The box can be printed at an additional cost. Ballad Chrome matt black ball pen and roller pen in a Deluxe Gift Box. 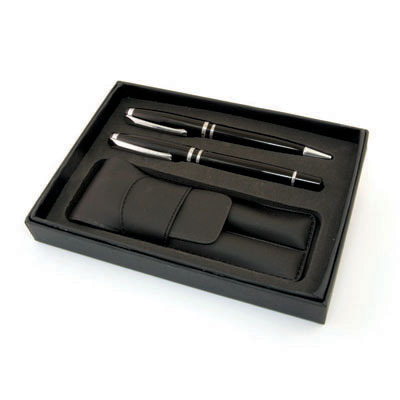 Engraves chrome The box can be printed at an additional cost. Valentino Noir ball pen and roller pen in a hinged, cushion lined HI-Line Gift Box. 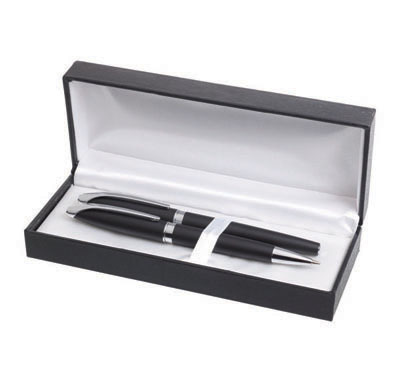 Ambassador ball pen and roller pen in a Deluxe Gift Box. 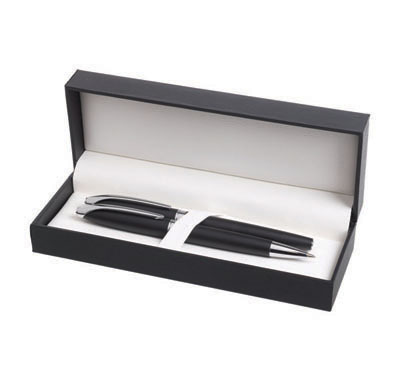 The box can be printed at an additional cost. 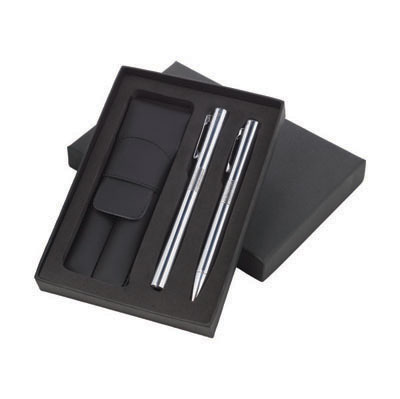 Waterford ball pen and 0.7 mm Pencil pen in a Card Gift Box with Pouch. A rollerball can also be supplied instead of the ball pen or pencil (POA). The box can be printed at an additional cost. Ballpen and rollerball set in a white piano lacquer finish with chrome trim. Supplied gift boxed. 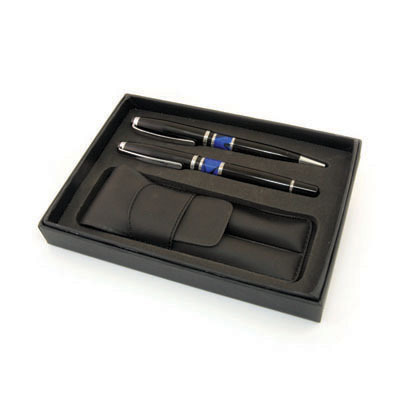 Ballpen blue ink rollerball black ink. 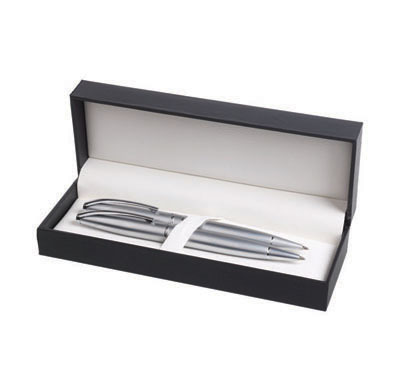 Modern metal writing set. 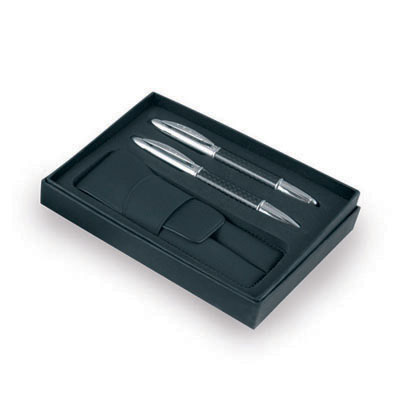 The beautiful writing set consists a ball pen (incl jumbo blue ink refill) and a mechanical pencil. 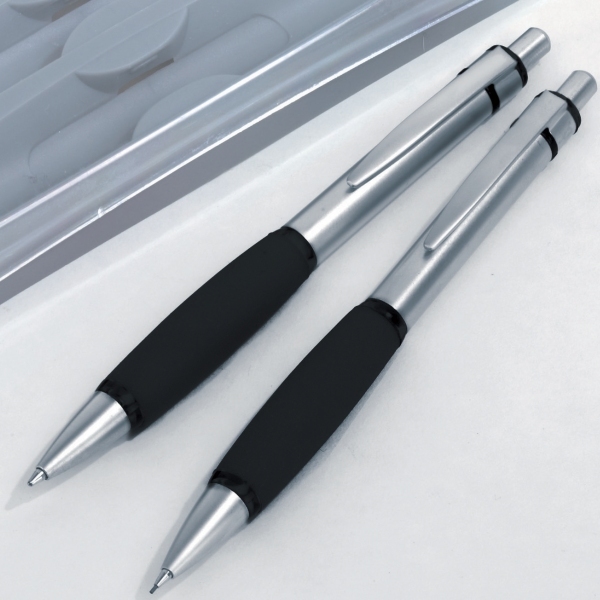 We will laser engrave your logo onto both writing pens. 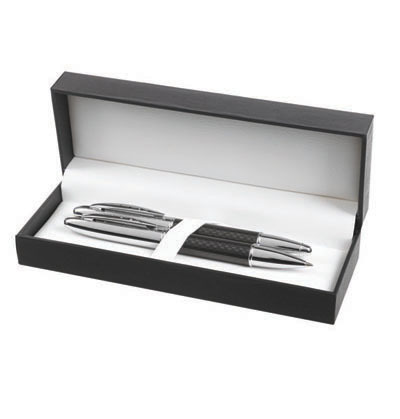 Single packed in a gift box. Please remember to include two laser engravings with your order. 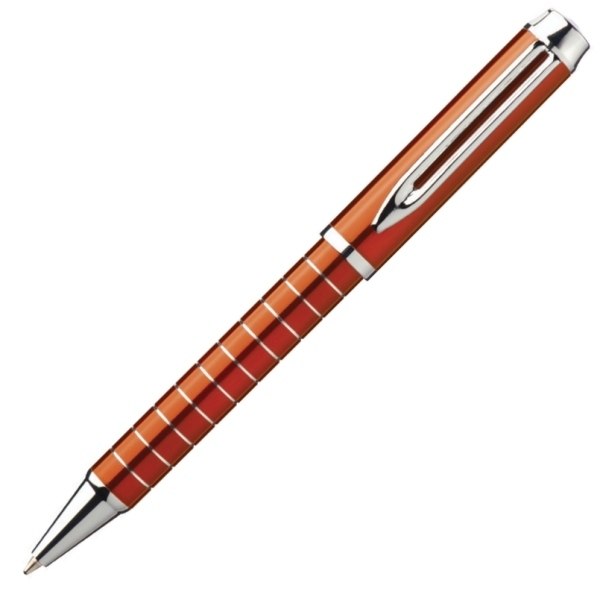 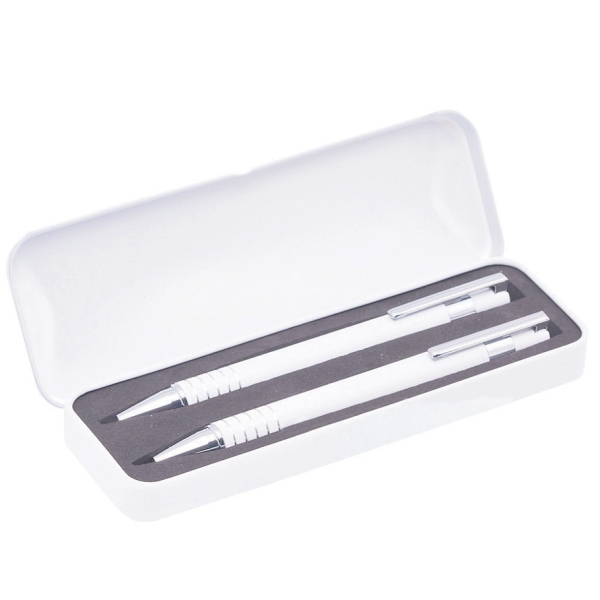 Ballpen and mechanical pencil with soft touch grip in a presentation case with clear lid. 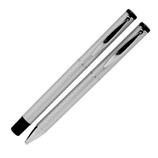 Ballpen has black ink. Coloured metal ballpen and mechanical pencil in metal box. 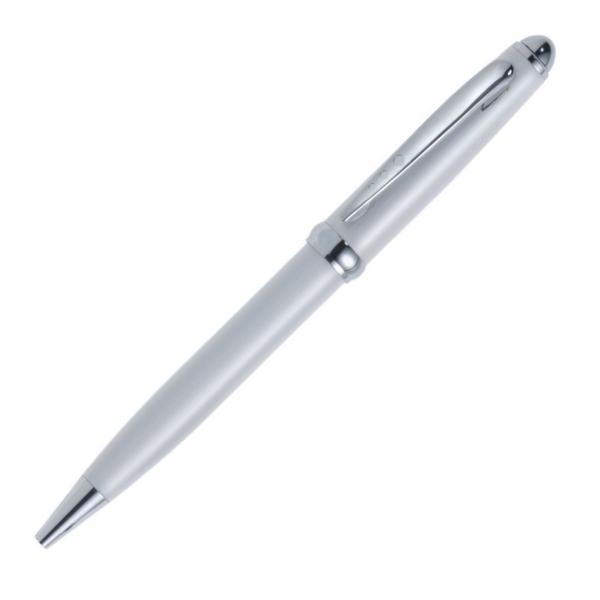 Ballpen has blue ink.